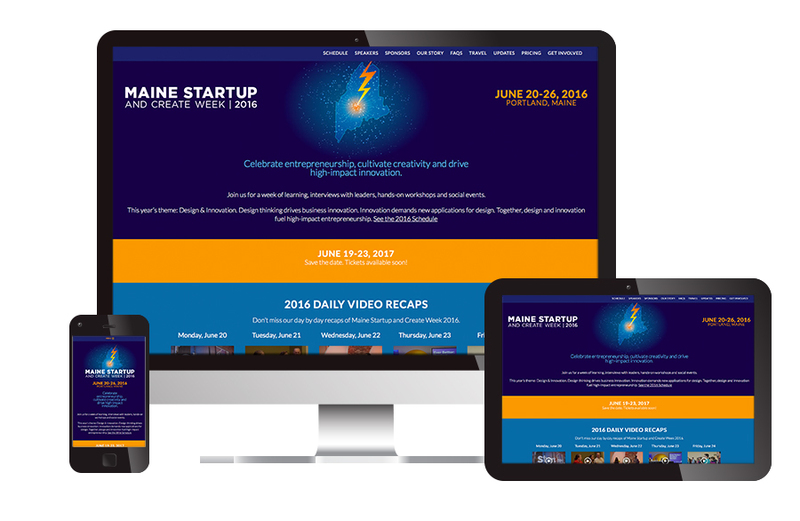 Visible Logic has been involved with Maine Startup and Create Week since year one and in 2016, created the event’s website. The site is responsive so that it’s accessible on many different devices, and needed to flexible enough to evolve as information about the event became finalized. 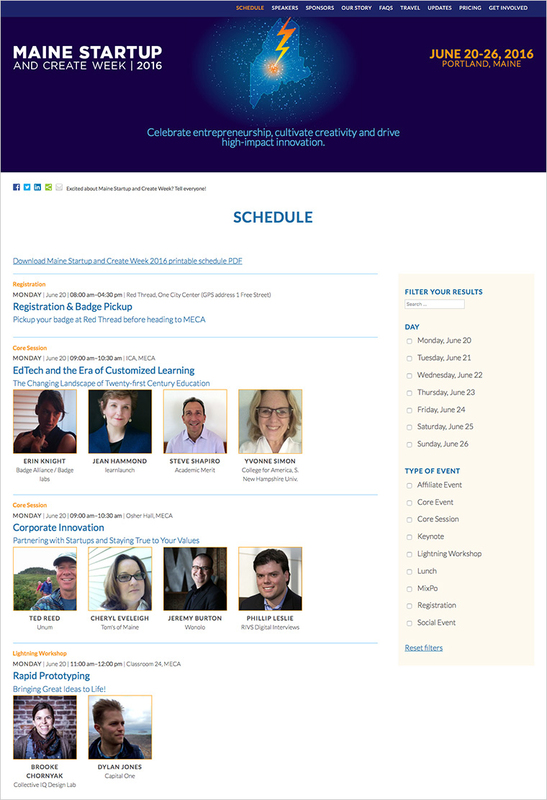 The site includes a filterable schedule page, so attendees could find their event by type or day in the list of over 90 different sessions. 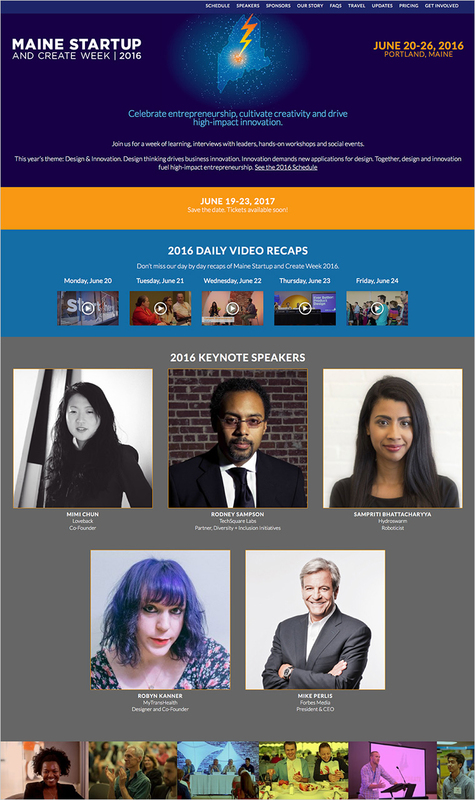 The site also listed and cross-linked over 100 speakers and their bios. Submission forms to collect information on speaker bios, affiliate event information was all housed behind the scenes using the web site.